Don’t settle for just one party this New Year’s Eve – sample several of the best all-ages parties Times Square has to offer with the Ball Drop NYE Family Party Pass. The out-of-this-world magic of a Times Square New Year’s Eve isn’t just reserved for adults – kids can also enjoy the spectacle with this family-friendly party pass, providing guests access to multiple all-ages events in and around Times Square. Soak up the festivities and the wonder of Times Square this NYE with this glittering, heart-pumping pass.. 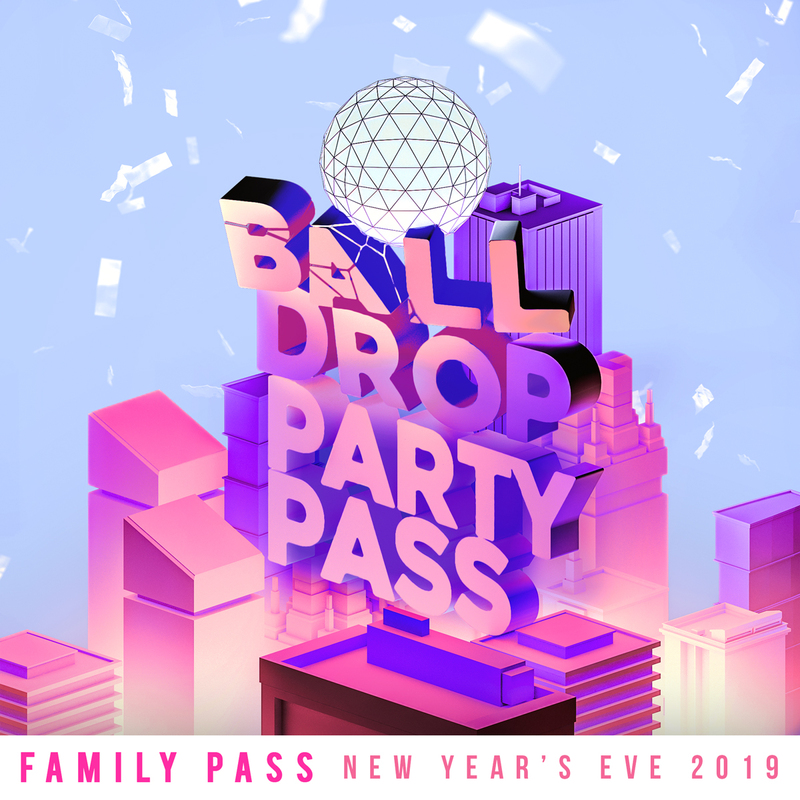 The Ball Drop Family Party Pass offers guests general admission entry into several of the hottest all-ages parties happening in and around Times Square on December 31st. That’s right, this all-inclusive ticket provides entry to several parties, so you don’t have to settle for one this NYE. A live midnight countdown will be led by the city’s hottest DJs, who’ll be playing your favorite Top 40 and party tracks. No NYE party is complete without a midnight countdown, and every party included in this pass will feature a live countdown. Enjoy festive party favors at select venues, and revel in games and dance floor action all close to the iconic Waterford crystal Ball Drop. No New Year’s Eve party compares to a Times Square NYE – every New Year’s Eve, “the crossroads of the universe” overflows with confetti, glitter, and fireworks. Thousands of revelers from all over the world come together to watch A-list performers take the stage every year, giving performances that are talked about long after the New Year, all before the famous Waterford crystal Ball Drop. Experience the magic with the whole family this NYE with the Ball Drop Family Party Pass. More to come for this enthralling night, so stay tuned.